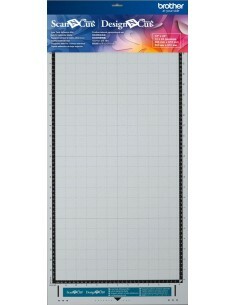 Cutting up to 12inch x 24inch, 305 x 610 mm. 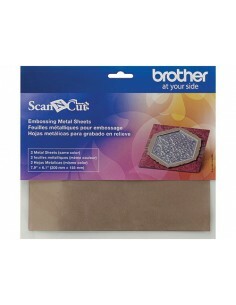 2 bronze metal sheets to create unique embossing projects, from greeting cards to home décor items. 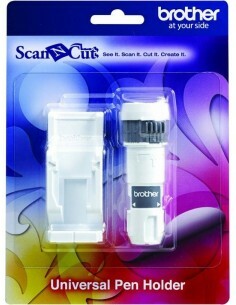 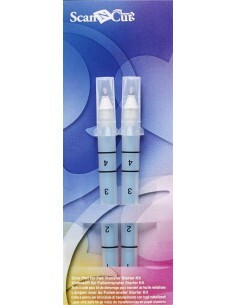 Brother ScanNCut Scanning Mat 24"
Glue works with Brother ScanNCut Foil Transfer Starter Kit. 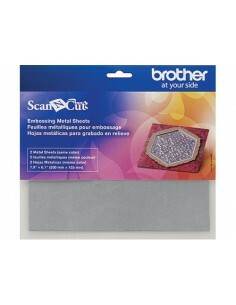 2 silver metal sheets to create unique embossing projects, from greeting cards to home décor items. 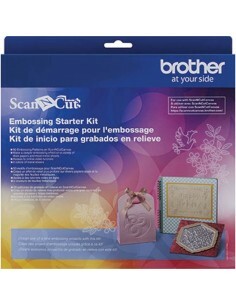 The ScanNCut Embossing Starter Kit provides all the materials you need to create an embossing effect on paper and metal. 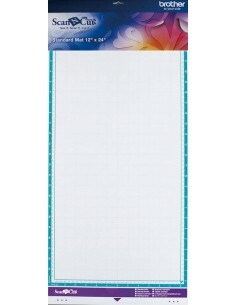 Now you have so many possibilities to create unique projects with both line embossing and region embossing functions. 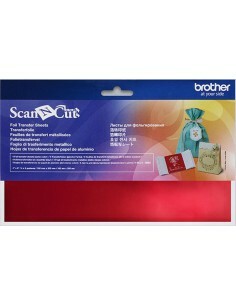 The ScanNCut Foil Transfer Sheets color red provides you 4 sheets to transfer foil. 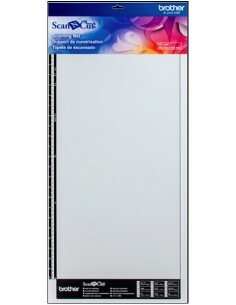 Now you have so many possibilities to create unique projects with foil transfer functions. 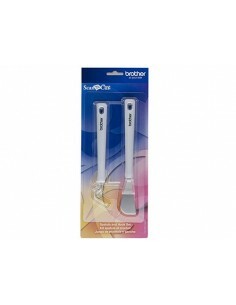 The Brother ScanNCut Spatula and Hook Set works with cutting machines Brother ScanNCut as ScanNCut CM600, CM840 and of course the ScanNCut CM900.